One June 3rd, 2014, IRS commissioner John Koskinen acknowledged the substantial burdens faced by non-willful violators and announced that significant changes were imminent. Within weeks following the announcement, on June 18th, 2014, the IRS announced the release of the 2014 OVDP / OVDI program updates, which take effect on July 1. With this announcement come major changes to the 2012 OVDP program that is currently in-place. In a nutshell, these changes made things much simpler for non-willful violators with the announcement of the newly expanded “Streamlined Filing Compliance Procedures,” which now comes with a 5% offshore penalty. For willful violators, things got much worse. There is a new penalty structure included with the 2014 OVDP program, which calls for 50% penalties in many cases, as compared with the current 27.5% penalty rate. Below is a brief overview of the recently announced 2014 OVDP program changes. If you would like some more detailed information concerning the various voluntary disclosure options, feel free to contact us to speak with a tax lawyer about your situation. If you are unfamiliar with the 2012 IRS Voluntary Disclosure Program, feel free to read my article, which explains the topic in greater detail: All About the IRS’s Offshore Voluntary Disclosure Program. 4) Enter the OVDP and then opt-out of the civil settlement structure, rolling the dice by asking for a warning letter in lieu of any offshore penalties. This approach is commonly referred to as a Qualified Quiet Disclosure. Even if successful, this can cost tens of thousands of dollars in legal and accounting fees because of all the work involved in going through the entire OVDP process, then going through the opt-out process. The decision on which of these options was best (or should I say least bad) for any particular taxpayer is a very fact-intensive decision that must be made on a case-by-case basis. If you want to more information on these various options, including opting-out and quiet disclosures, feel free to read my article on the topic: Where Did All the Quiet Disclosures Go? Under the new 2014 OVDI / OVDP updated rules, non-willful violators now have a fifth option: the Streamlined Filing Compliance Procedure. Under this new program, taxpayers are offered a much simpler option to come into compliance, with far less in penalties than under the OVDP program. Under the new 2014 OVDP Streamlined Filing Compliance Procedures, non-willful violators who meet certain eligibility requirements qualify for a simplified procedure and a 5% offshore account penalty (Streamlined Domestic Offshore Procedures). Non-resident taxpayers who qualify simply have to pay any unpaid on unreported income, and all offshore penalties are waived entirely (Streamlined Foreign Offshore Procedures). This is a significant expansion of the previous streamlined OVDP option, which only applied to nonresidents who owed $1,500 or less in tax per year, among other requirements. Americans Living Abroad: Do You Qualify for the Streamlined OVDP? The bank or account facilitator has been named in any court-approved summons seeking information about Americans who have foreign financial accounts. It is important to note that it is irrelevant whether or not the taxpayer actually had knowledge that any of the above events actually occurred. All that matters is whether or not there has been a public disclosure that any of the events took place. Examples of things that constitute public disclosures include: a public filing in any court proceeding that discloses the event; and, a public disclosure by the DOJ about a Deferred Prosecution or Non-Prosecution Agreement. If the conditions for the 50% penalty are met for one of your financial accounts, then the increased penalty will be applied to all your holdings. The IRS has a list of all the banks and facilitators the 50% FBAR penalty applies to available on its website. As of June 20, 2014, there were 10 institutions on this list. Under the 2012 OVDP program, offshore penalties were not due until the end of the process. Under the 2014 OVDP program, you must include a check representing full-payment of all tax, penalties, interest, and OVDP penalties at the time of submission. If you are unable to pay the full amount due up-front, you must make good-faith arraignments to pay the IRS in full. Under the 2014 OVDP program, taxpayers are now required to submit more information to the IRS as part of the process. Pre-clearance requests now require more information than under the 2012 OVDI program. Now you have to identify all of your undisclosed foreign financial assets and entities through which these assets are held as part of your preclearance request. Also, all entrants now have to submit all relevant bank statements, regardless of the maximum balances in their accounts. These recent 2014 OVDP program changes bring an extra layer of complexity to an already overly complex area of the tax law. While the new Streamlined Filing Compliance Procedures bring exciting new changes for many that greatly reduce the complexity of and penalties associated with making a voluntary disclosure, it might not be the right move in your case. 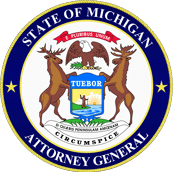 It is important to note that people who enter the voluntary disclosure letter on or after July 1, 2014 are disqualified from entering the Streamlined or Transitional OVDP programs, and vice versa. Before you make an irreversible decision on what 2014 OVDP option is best for you, be sure to contact a tax lawyer to discuss the facts of your specific situation. Tax lawyer Venar R. Ayar, founder of Ayar Law Group, holds ten years of experience as an accounting specialist and tax lawyer. He earned his Juris Doctor at the University of San Diego School of Law, receiving a Master of Laws in Taxation—the highest degree available in tax. His specialty is in resolving all types of federal and state tax problems. Representing clients before the IRS, Ayar’s practice and experience has proved him as an honest and dedicated leader in the realm of tax lawyers. Throughout his career, Ayar has helped many taxpayers from all around the U.S., and around the world, navigate the OVDI/OVDP program and its alternatives, including the qualified quiet disclosure, and getting them current with their FBAR reporting requirements. 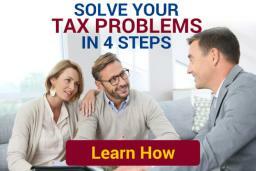 Click here to contact tax lawyer Venar Ayar.